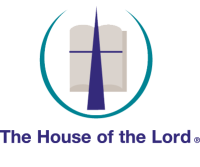 Presiding Bishop F. Josephus Johnson II, better known as Bishop Joey Johnson, is the Organizer and Senior Pastor of The House of the Lord in Akron, Ohio. Bishop Johnson is a renowned Bible Scholar, counselor, author, educator, conference speaker and workshop facilitator. His experience in leading one of the city’s largest churches for over forty years has equipped him to impart wisdom for issues related to church growth and development, business management, leadership and team building. 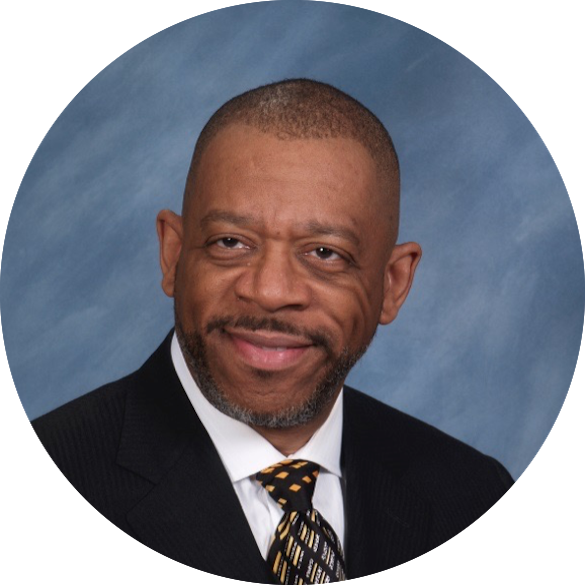 As a visionary, Bishop Johnson founded The Pastoral Mentoring Institute, where he utilizes his practical and down to earth skills as a communicator to train and mentor senior pastors and church leaders to be more effective in their local churches. As a result, these pastors and church leaders are being better prepared and equipped to impact today’s society and generations to come for the cause of Jesus Christ. As a lover of The Holy Scriptures with keen intellectual curiosity and insatiable appetite for reading, Bishop Johnson founded Emmanuel Christian Academy and Logos Bible Institute to present opportunities to both children and adults to be educated and equipped in the foundation of God’s Word. Bishop Johnson was promoted to Bishopric through the providential wisdom of God and at the request of the senior pastors he mentors. His consecration and ordination in 2004 was accompanied by having the Doctor of Divinity degree conferred upon him by the Joint College of African-American Pentecostal Bishops Congress. Within the Christian community at large, Bishop Johnson’s apostolic responsibilities include the oversight of Beth-El Fellowship of Visionary Churches. Beth-El was created to be a source of encouragement, practical leadership development and team building, as well as a haven of rest for senior pastors, their spouses, and other church leadership. He offers over four decades of pastoral wisdom and guidance to the senior pastors of these churches and their congregations. Bishop Johnson’s heart for the Akron Community includes participation in the National Day of Prayer Service on the Courthouse Steps, hosting a Citywide Martin Luther King, Jr. Day Celebration Service, and helping out a local grocery store with a Henry’s ACME Day which resulted in hundreds of members walking across the street and buying groceries. The Fugitive Safe Surrender Program, a collaboration with the U.S. Marshall Service, in 2007 and 2009 and the Ohio State Attorney General in 2014, and various Court Systems throughout Summit County, the Fugitive Safe Surrender (FSS) was hosted by Bishop Johnson and The House of the Lord®. Designed to give those with criminal arrest warrants against them a “second chance” and “favorable consideration” at sentencing, more than 5000 persons over those three sessions peacefully surrendered. Bishop Johnson’s most recent community collaboration is The Village at New Seasons which features Low Income Senior Citizen housing and a fully staffed health care facility operated by SUMMA Health System. This facility is the only emergency health care facility in the West Akron Community. Among his many accolades, Bishop Johnson is the winner of the first-ever “Praiseworthy Sermons! Contest,” in April of 2007, conducted by Church Business Magazine. The winning sermon was “Restoring God’s Witness To The Streets.” And on June 27th, 2007, Saint Thomas College and Theological Seminary conferred upon Bishop Johnson the honorary degree of Doctor of Divinity. In addition, he holds a graduate-level reading certificate in cultural anthropology and New Testament Interpretation from the Theology Department of Creighton University in 2004. In 1983, Bishop Johnson authored The Church: The Family of Families, reprinted March 2013. The popularity and power of his 1997 sermon series entitled, “Family Mess” inspired him to write God Is Greater Than Family Mess, whose popularity encouraged the updated and revised version, reprinted in 2009. Bishop Johnson completed his third book, The Eight Ministries of the Holy Spirit: From Denomination to Reformation: An Introduction to Biblecostalism® and released the accompanying Study Guide. In 2011 Bishop Johnson completed and released two books, The Biblical World through New Glasses and Lord of the Flies: A Leadership Fable. Bishop Johnson is married to Pastor Cathy Johnson. In October 2014, Bishop Joey and Pastor Cathy, were the 2014 Community Service Awardees of the 2014 Achieving the Dreams Celebration of Project GRAD. Project GRAD Akron is a non-profit education reform program, which began in the Akron Public Schools in 2002. As Bishop Johnson increasingly ministers to the community of faith not only in the city of Akron, but around the world, his participation and influence in the community continues to grow on so many different levels. One example of this is his commitment to attacking and solving the problem of poverty in our city. To do this, Bishop Johnson continues to humbly invite city and state leaders to sit at the same table. He is careful to reject the role of a hero, while he has embraced, with the good of all in mind, the role of being a host of conversations.